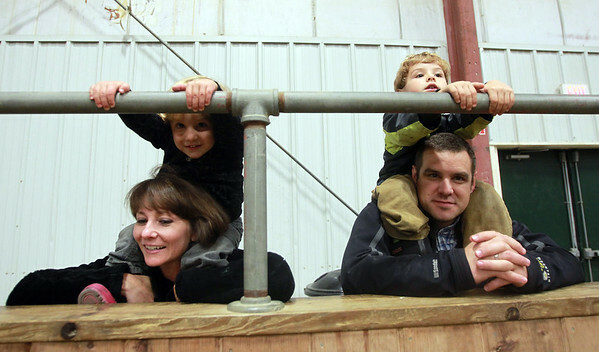 Shawn and Martha Farrell, of Hamilton, provide high-vantage point seats for their sons Seamus, 6, right, and Kai, 2, during the final pumpkin weigh ins on Friday evening. DAVID LE/Staff photo. 10/3/14.